Population growth, migration, urbanisation and climate change are all factors that are driving an increased demand for infrastructure globally, but there are challenges the industry needs to overcome in order to execute the delivery. Topcon Positioning Group is participating in the 2018 Autodesk University conference in Las Vegas. Year in Infrastructure hosted by Bentley Systems, brings together the industry to discuss and share ideas, technology and ways of working which will shape how we design, build and manage projects. Topcon Positioning Group announces an addition to the GT series of total stations for Europe — the GT-503M — designed for professionals seeking the versatility of a motorized solution and the benefits of a single-operator robotic system in a dual-operator system. Topcon Positioning Group announces the Intel Perpetual License Inspection-Surveying provision for the Intel® Falcon™ 8+ Drone – Topcon® Edition will now be included with the system. 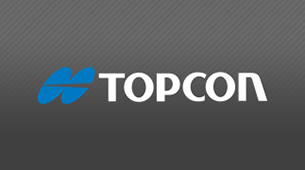 Topcon Positioning Group announces the latest addition to its HiPer series of integrated receivers — the HiPer VR is designed to provide a versatile solution with the most advanced GNSS technology available. Topcon Positioning Group announces new accessories for the FC-5000 field computer — a landscape-style keyboard along with a stylus.